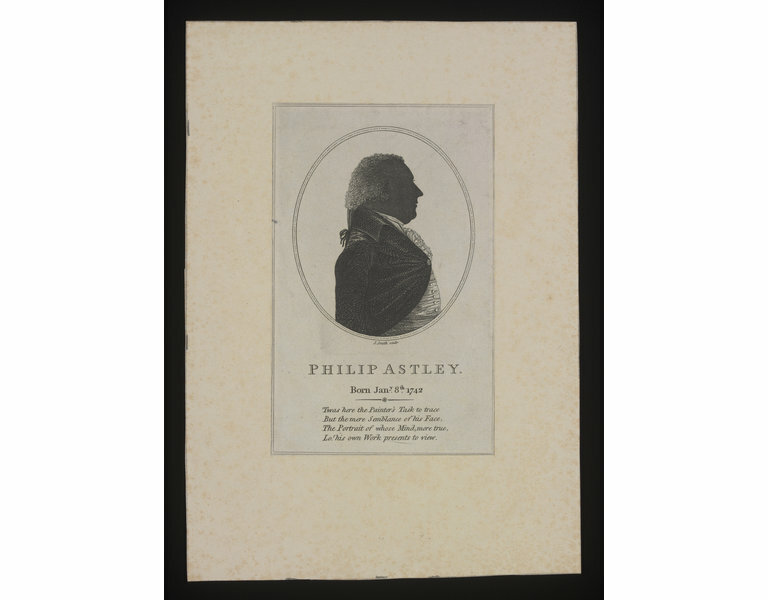 Print portraying equestrian performer Philip Astley, engraved by J. Smith. 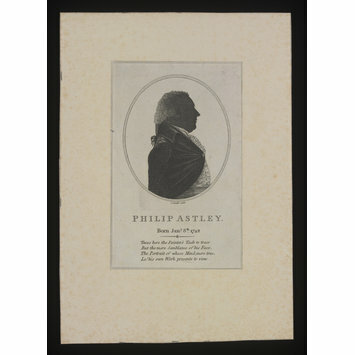 Harry Beard Collection. 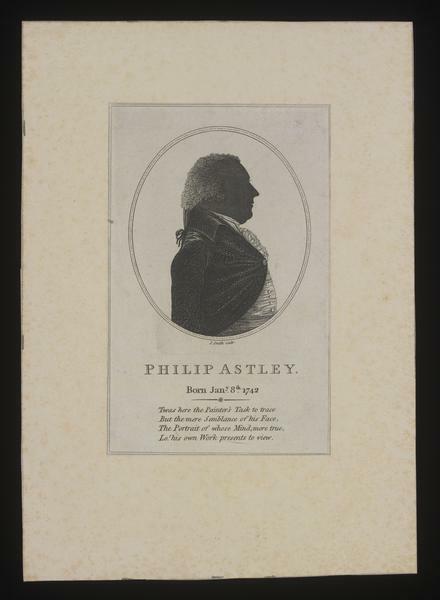 Print portraying equestrian performer Philip Astley.